Francis Jansen was born in 1946 in a small fishing village in the North of Holland. Her father, who was part of the Resistance Movement in war torn Europe, chose to emigrate with his family to Australia when she was 6 years old, settling in Wollongong, N.S.W. Francis completed her formal education in Australia and then, as an adult, moved back to Europe with her family in 1964. After working for 3 years in a variety of positions from hair stylist to laboratory technician and doctor’s assistant, Francis married a U.N. diplomat in 1967, and spent the next 6 years stationed in Thailand with her husband. During this time, Francis had the opportunity to travel extensively throughout Asia and was exposed to extraordinary adventures in countries oppressed by war and holding contrasting value systems regarding gender and socio-economic classes. Then in 1977, while in the process of divorce, Francis and her adopted son, Isha, emigrated to America, where she eventually opened and operated a natural foods restaurant for seven years. 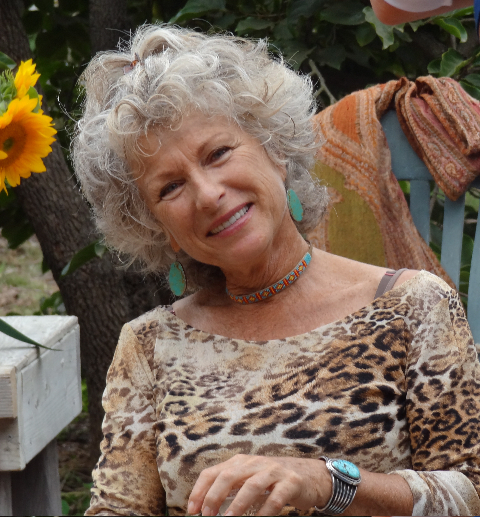 The strenuous demands of restaurant life compromised her health and well being, which led to an in-depth exploration into the alternative healing arts. A major part of that exploration involved fasting, nutritional support and colon cleansing, in which she experienced first hand the powerful effects that this kind of internal body work has on mental, emotional and spiritual as well as physical health. In creating a new deeper respect and relationship with her own body and soul, Francis’s relationship with Mother Earth also deepened. On her backpacking expeditions into the mountains of southern California, she learned to love and communicate with the elements, the stone people, the plants and animals. On several occasions she experienced an initiation by her animal teachers, calling her to become an advocate and protector of the land. Francis felt a particular kinship with the stone people, and in 1988, with no previous training in art of any kind, she was drawn to begin sculpting in stone. To paraphrase Michelangelo’s words, she simply started seeing faces and Beings in the stone and carved to set them free. A year later, while exploring quarries in Carrerra, Italy, Francis came upon a large block of white marble that ultimately gave birth to her Monument to Forgiveness, standing 13 feet tall and weighing 10,000 pounds. Within 9 months, Francis completed the monument that she initially called Eagle Man. The monument stands as a reminder that the separation and discord between nations, religions and peoples is rooted in humanity’s separation from Spirit – our forgetfulness that all of life is sacred and we are part of that sacredness. The Native American people, among other indigenous tribes of the world, have been keepers of this “spirit remembrance”, knowing that the sacred dwells in mouse as well as mountain lion. Sculpting came to me as a deep calling, to express humanity’s great inquiry into the “Dance of the Cosmos”, that brought us here. These hands, with no gift for draftsmanship became instruments of atunement, when at 42 years of age I picked up a chisel and hammer and began to follow the message of “soul and spirit”, spoken to me by the silent stones, the bones of the Mother, that I chose to carve. Each of my sculptures, be they angels, mother goddesses, shamans or creatures of earth, air, water or ether, are results from this unique agreement between myself as Artist, and the archetypal themes and messages that I open myself to give expression to. Each stone creation possesses the potential to bring humankind into rememberance of source, divine purpose and its mythic imprints. The question that has inspired all of my work has always been “How can I assist the expression of the sacred here on Earth. My sculptures are reminders for all of us of the sentience of “all living things”, with which we are blessed to share this beautiful planet. My mission is to celebrate this profound interconnectedness and to create a doorway into the sacred for everyone who yearns for unity, beauty and divine expression in their lives.